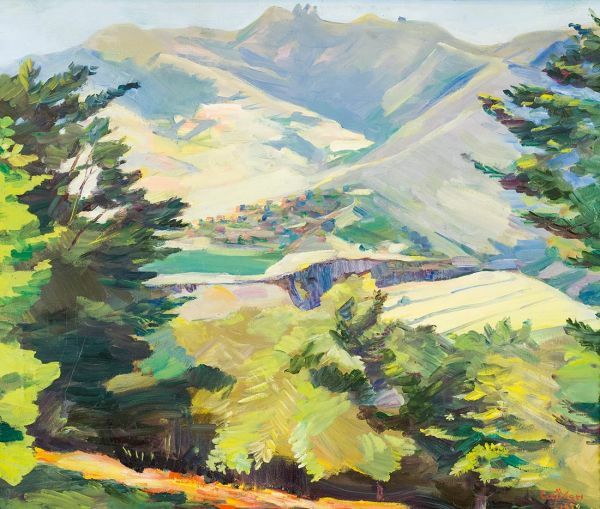 Buy works – Saryan Martiros Sergeyevich | (1880, Nakhichevan-on-Don - 1972, Erevan). Saryan Martiros Sergeyevich (1880, Nakhichevan-on-Don - 1972, Erevan). Full member of the Academy of Arts of the USSR (1947), People’s Artist of the USSR (1960), Full member of the Academy of Sciences of the Armenian Soviet Socialist Republic (1956), Chairman of the Artists Union of the Armenian SSR (1947-1951), Laureate of the State Prize of the USSR (1941). Martiros Saryan studied at the Moscow College of Painting, Sculpture and Architecture under V. Serov and K. Korovin from 1897 to 1904. In the 1900s he participated in exhibitions of artist associations such as The Blue Rose, the Union of Russian Artists, the World of Art, and the Four Arts. His work was strongly influenced by Paul Gauguin and Henri Matisse. Between 1910 and 1913 Saryan traveled to Turkey, Egypt and Iran. He moved to Russia in 1917 and then to Armenia in 1921. 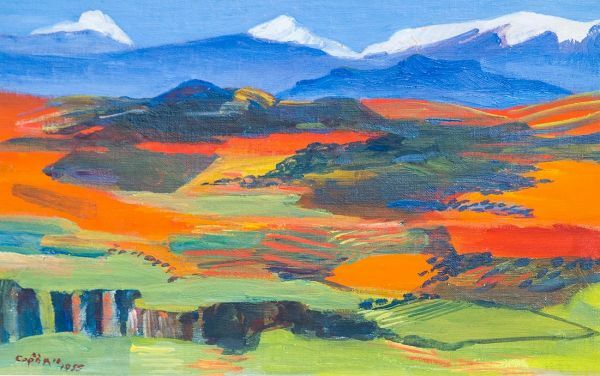 Armenia’s nature became the chief theme of Martiros Saryan’s work, although he also painted portraits and made book illustrations and stage designs. Between 1926 and 1928 the artist lived and worked in Paris. His work was instrumental in the making of the Soviet Armenian national painting school. Martiros Saryan’s works are in the State Tretyakov Gallery, the State Russian Museum, and in the Armenian State Art Gallery. 1500000 - 1700000 rub. 1500000 - 1700000 rub.